I have a couple of favourites to share with you here - my tandoori shrimp (prawn) and a lovely spicy indian style mussel dish. Shrimp (prawns) are often served in Indian Restaurants but you won't often get mussels. 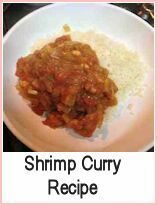 The recipe below would make a great starter or be a part of an Indian buffet. I love to serve lots of different dishes when I'm cooking Indian style - some dry dishes, some curries, fish, meat, vegetables - it makes the meal seem more of an event. First make the marinade. Put the yoghurt in a bowl and mix to get any lumps out of it. Add the ginger, garlic, lemon juice, salt, a couple of twists of pepper, cumin, garam masala and colouring and mix thoroughly. Leave for the flavours to combine for about 15 minutes or so, then push the marinade through a sieve. Add the prawns and mix to ensure that they are all coated in the marinade. Put the bowl in the fridge and leave for about 30 minutes. Remove the prawns, leaving the marinade and heat the oil or ghee in a heavy pan. Pour in the marinade and heat well. You will get a lovely thick sauce. Then add the prawns and heat for a couple of minutes, stirring gently. Serve immediately. I like this with naan bread or chapati. 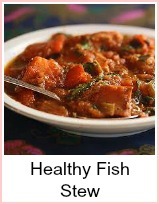 When you're looking for indian recipes fish ones are particularly hard to come by. Here is another for Indian style mussels. Place the ginger, garlic, 4 fl oz of water into a blender and process until smooth. Heat the oil in a heavy pan, add the onions and cook until softened. Add the ginger and garlic paste, chillies, turmeric and cumin, stir and cook for 1 minute. Add the salt and 8fl oz of water and bring to the boil. 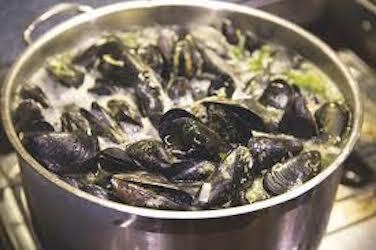 Add the mussels, cover the pan and steam for about 4 minutes or so - until the mussels have all opened. Serve immediately with rice or have as a starter for an indian meal with a salad. 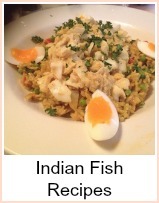 If you are looking for more indian recipes fish and shellfish, then click on the index buttons at the side. How to make Tandoori Shrimp and Indian Style Mussels.